we have cakes for all occasions. Every day is special, we’re here to help you celebrate your special day in a very sweet way! When customers think of La Concha Bakery many don’t know us for cakes. It’s true that initially we started only concentrating on pastries and breads, however, with time many of our own customers were coming to us with requests to make their cakes as well. For the last five years, we are continuing to grow and expand in this area. We now make custom cakes for all occasions and events whether it’s a baby shower or a birthday, weddings or corporate events. 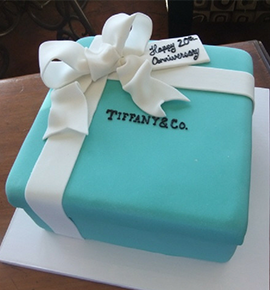 We are able to create custom cakes utilizing fondant and/or printed images on edible paper. We also make cakes using our own homemade signature butter cream or whipped topping. Although we do require advance notice for custom cakes, we also have delicious 6”and 8” cakes that are on hand and ready to go daily. Please check our menu for a list options and descriptions. Menu items are subject to change and may not always reflect exactly what’s available, feel free to call us to check availability. Learn more below about our cakes. 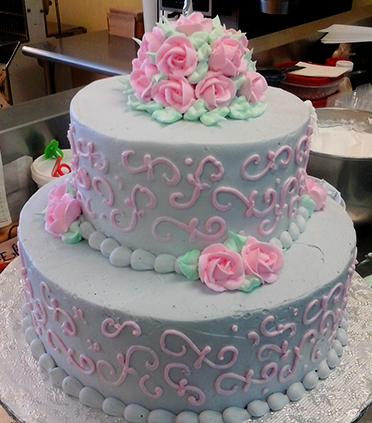 At La Concha Bakery, we take pride in creating unique and delicious wedding cakes in all styles and for all tastes. 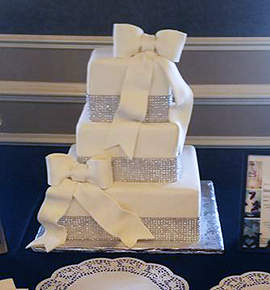 We look forward to working with you soon to create a special cake for YOUR big day! 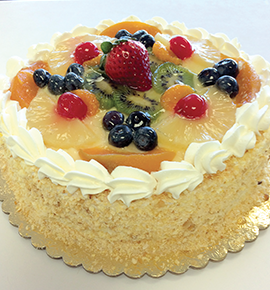 Our signature cakes are available daily as round 6″ or 8″, they are always on hand and ready to grab and go. Need a cake for a special day? We are able to make standard and custom cake designs for any occasion: quinceañera, baptisms, holiday and special milestone birthdays, etc. Baked fresh, each delicious cupcake is topped with rich creamy frosting and decorated by hand. 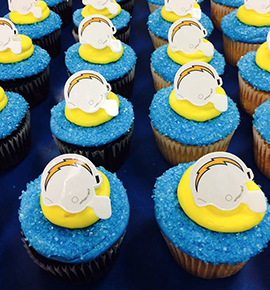 Our cupcakes are beautiful and delicious! All of our cupcakes can be custom ordered.